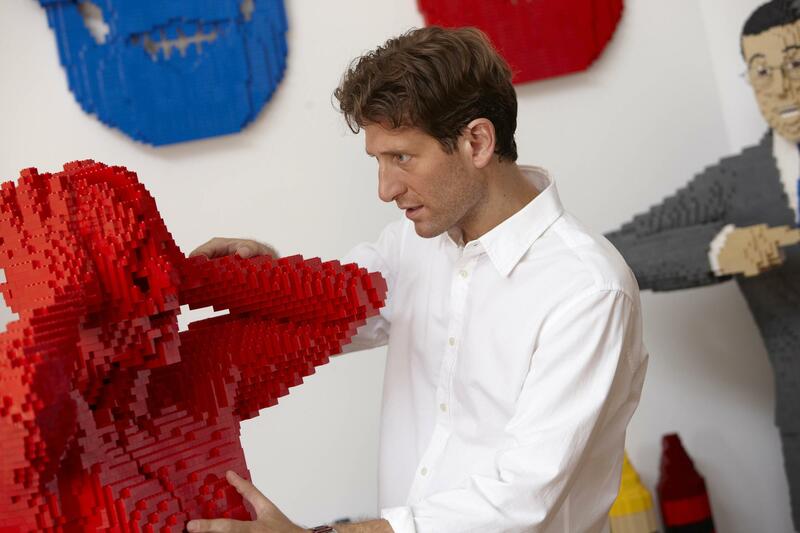 Listen…3:47 | LISTEN to Nathan Sawaya talk about his transition from law to art in 2004 and his current focus in human figures. More audio below. The artwork of award-winning contemporary artist Nathan Sawaya may surprise you-and your children. 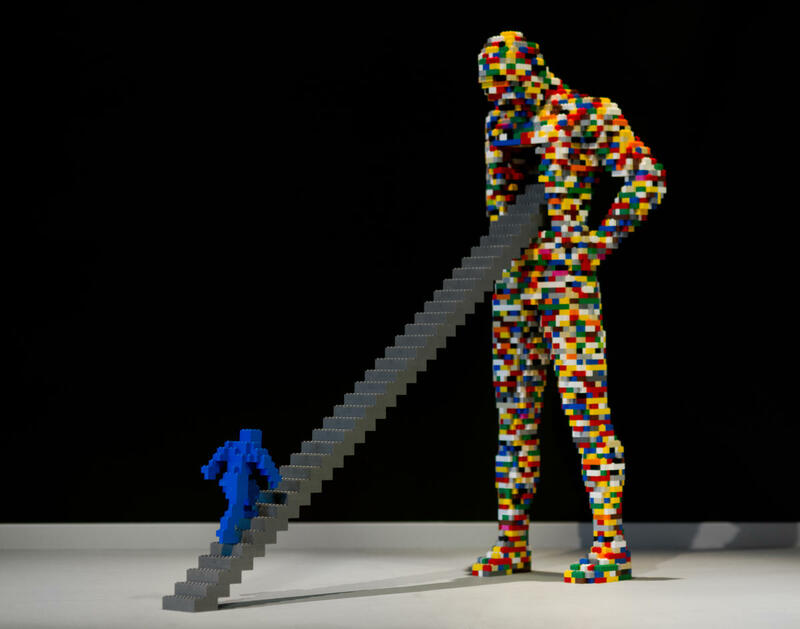 Sawaya creates sculptures out of LEGOS, the same Legos parents have in couch cushions and under kitchen tables. 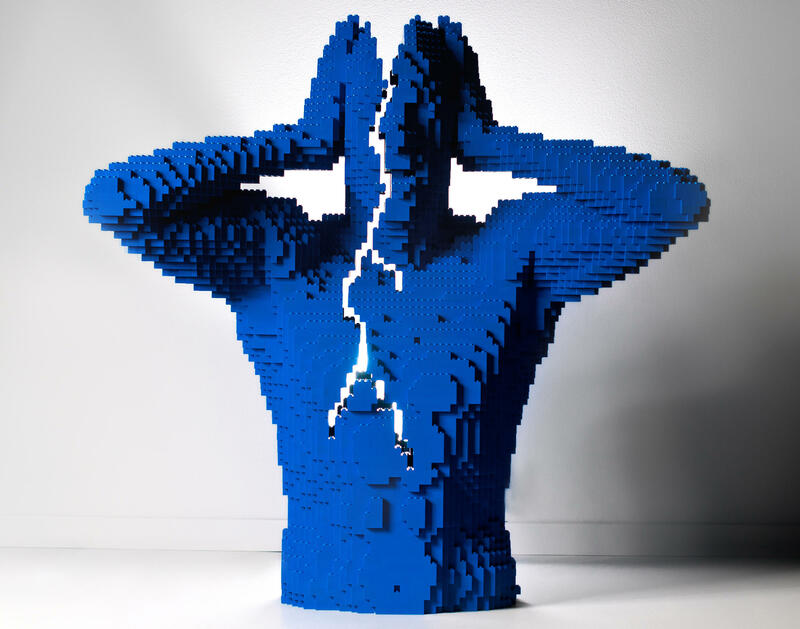 His exhibit The Art of the Brick is on a global tour, and through September, it’s on display at the Burroughs-Chapin Art Museum in Myrtle Beach. Sawaya spoke with us from his studio in Los Angeles. The first question: what was it like to leave a successful career as a corporate lawyer to commit to LEGO sculpture full-time? Listen above. 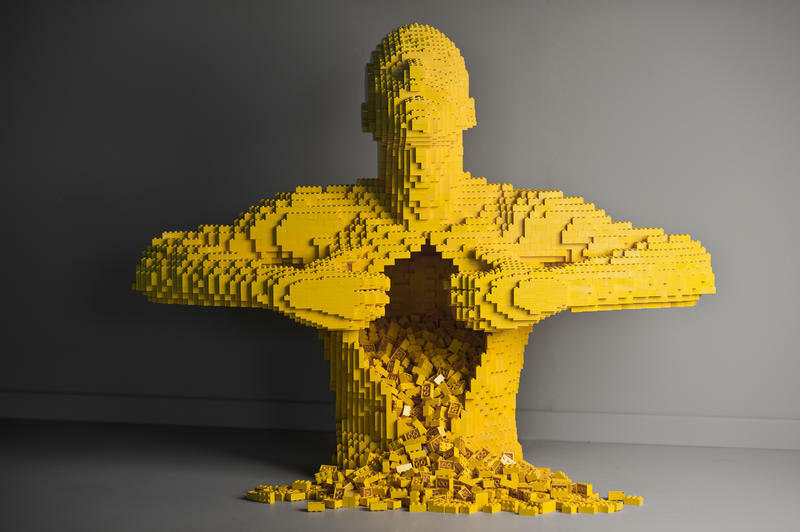 “The Art of the Brick” by Nathan Sawaya & “In Pieces” by Sawaya and Australian photographer Dean West. Burroughs-Chapin Art Museum in Myrtle Beach through September 10th. Listen…1:34 | Listen: Artist Nathan Sawaya talks about “In Pieces,” a collaboration with Australian photographer Dean West, also on display at Burroughs-Chapin Art Museum. Listen…1:41 | Listen to Sawaya reveal his hoped-for LEGO (but only if everyone gets it).